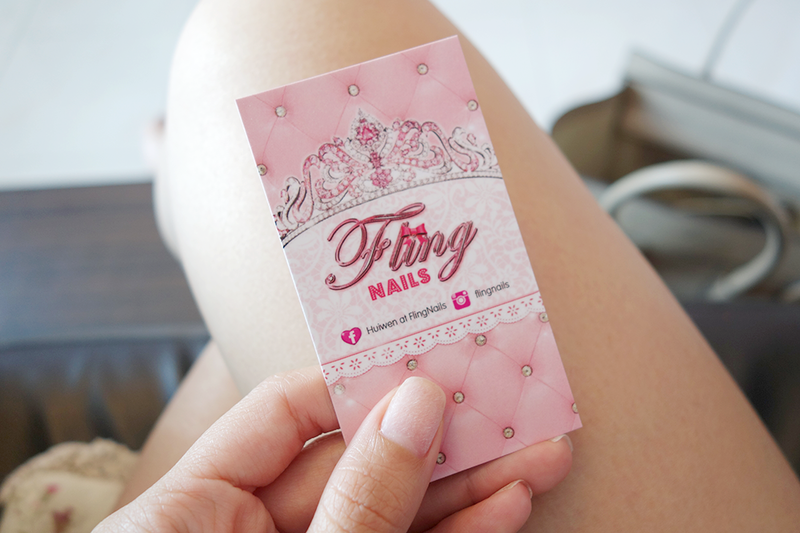 But first, let's start with the amazing brand new Fling Nails manicure room! 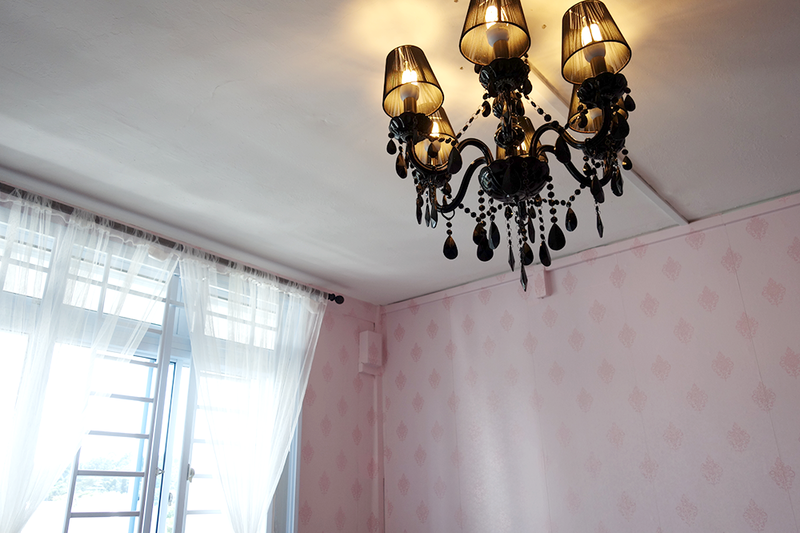 Talk about believing in pink - the walls have been done up with the prettiest wall paper and little touches here and there to the humble room such as the chandelier and lovely floral couch cushions have really made it look so homely and welcoming! When I stepped in, I was almost blown away. I loved how everything had been so well considered and the lighting was amazing for taking photos as well (hehe!). Most of all, I would say what one can really appreciate is the fact that the room can only take up to a max of 2 customers, so you can bring a friend or simply go alone and feel entirely relaxed there. In fact, I even fell asleep halfway through my session because I was so tired, and it felt great to not get judged by any other customers who might've typically been around in a larger manicure store lol. I think at one point I even dozed with my mouth open! 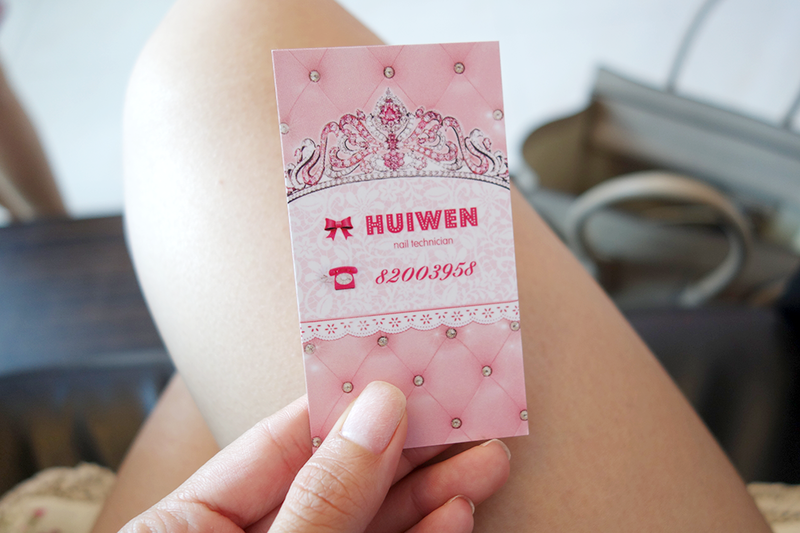 Haha, but really, Huiwen was so extremely accommodating to me that I felt entirely at home. My manicure took about a total of 2 hours to 2.5 hours. 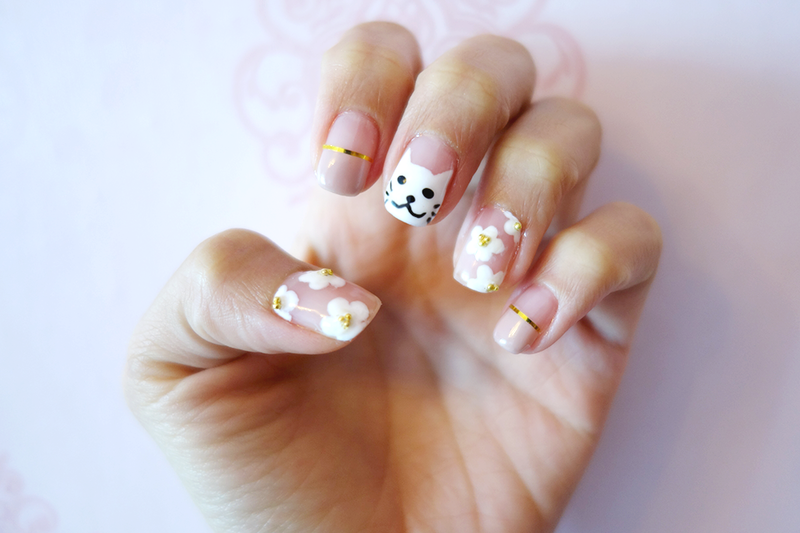 If you've got one of those fancy designs which require nail art/painting, be prepared to STAY in that chair lol. It's also good to get an idea of what you want before you head over because it's just going to be a waste of your time and Huiwen's if you just sit there and wonder for ages right? And here is a close up view of the finished product! Can I say... that..... I LOVE IT!!!! It's a lot cuter than I'm normally used to and would normally do, but I just fell in love with the cat when I came across it on Pinterest lol. And I also really liked the idea of the Marc Jacobs-ish daisies... so Huiwen helped me put them together! The final touches of the beads on the flowers along with the French-ish Manicure + Gold strip were also thrown in during the brainstorming process and I must admit I'm so blown away! I actually cannot stop looking at my nails now like a crazy person lol. But in all honesty, I love her attention to detail and to what I want. I could not be happier! So here's the part all of you have been waiting for right!? Well, you won't be disappointed! Contact Huiwen at 8200 3958 now! So really, this CNY is the time to start booking because these prices are INSANE! If you did my design, let's say, without the beads and just go with painting, that would cost only $55 NETT! I've had mine done at a ridiculously expensive place that I do not want to mention for over $60 when ALL I DID was Nail Art on 2 FINGERS!!!!!! Save your money, really, and do it at a better place and a better price like Fling Nails. You won't regret it! It's pretty easy to get there, the only problem MIGHT be the hassle, especially for people who live as far as we do. But here are some steps to make it easier. 3) Press the bell when you see The Woodgrove ahead, the bus stop's right in front of it.